Ceriatone introduces their tribute to the classic and much loved Princeton amp, but made with an amazing twist! The Ceriatone PrinzeTone 16w is a combination of the Blackface and Brownface Princeton amp, in one petite, portable package. 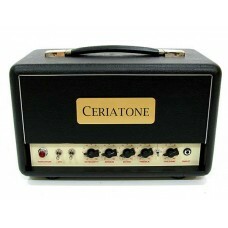 Ceriatone introduces their tribute to the classic and much loved Princeton amp, but made with an ama..